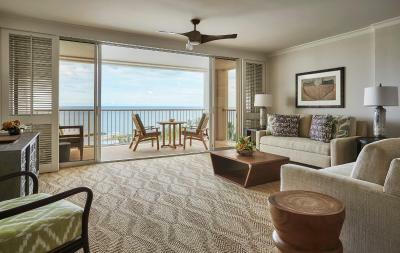 Lock in a great price for Four Seasons Resort Oahu at Ko Olina – rated 9.1 by recent guests! The grounds were stunning. The staff were very attentive and we were always greeted with a smile. 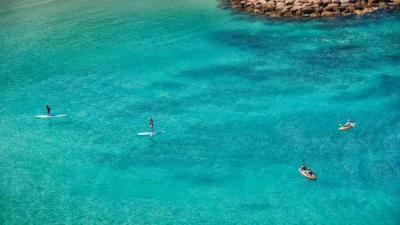 Loved the lagoon with complimentary water sports. The adult pool is immaculate—we even saw a whale from the pool! Spent a whole day enjoying the spa and zen garden. 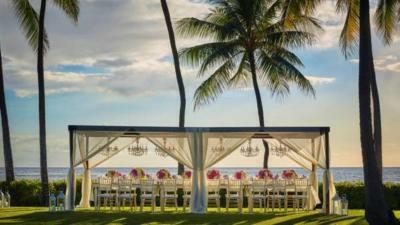 The location was perfect for the wedding we attended at Lanikuhonua Cultrual Institute. The breakfast was okay but over priced. 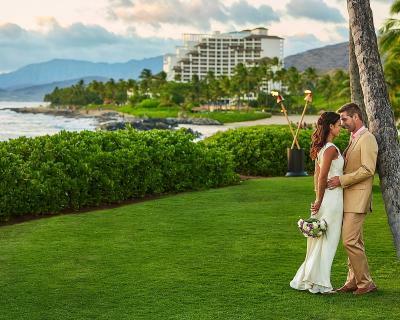 The staff at Four Seasons Resort Oahu at Ko Olina was perhaps the most sincerely friendly and helpful that we have ever experienced in our extensive travel. The room was great, amazing views, quality of bed and linens, bathroom and HVAC was exceptional. Wonderful dinners at Michael Mina's and Noe. Incredible weekend brunch buffets. Everything is walking distance. Very friendly staff and less crowded compared to competition. The property has a lot of amenities, which we enjoyed. We opted for the upgraded room, which was worth the price! Beautiful views. Perfect for anyone looking to escape from your hectic 9-5. We wish we could go back. Wow! Simply amazing!!! We loved absolutely everything about this hotel. The hot tub with the view of the ocean and the sunset is phenomenal - we spent almost every night here and it was amazing. The adult pool has an excellent view, too. Nice touch with the beach activities. The balcony was one of our favorite parts of the hotel! The balcony!!! Miss it already. We booked an ocean view room this time and it was well worth it. Best service anywhere. Quiet property, not crowded. Our new Hawaii favorite. Best staff ever. The location and the hotel facilities were great but nothing compares with the excellent training of the staff. Everyone was so happy and did their job with such willingness that you just fell good. The restaurants were also great. Love it the experience. 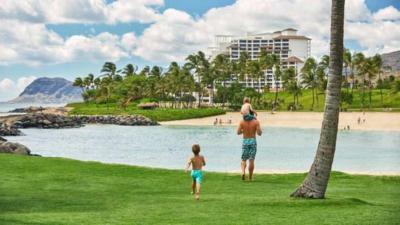 Everything about our stay at Four Seasons Oahu Ko Olina was perfect, the facilities, the beac & pools, and the restaurants. Special thanks to the attentive and welcoming staff team. 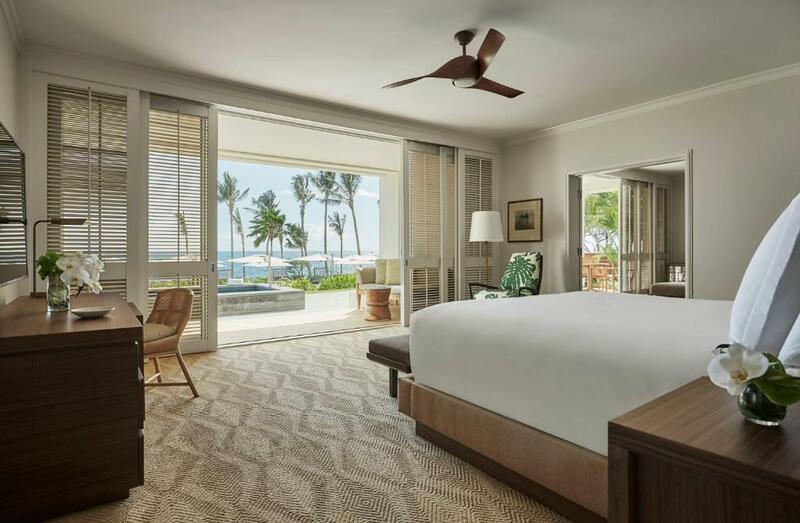 Four Seasons Resort Oahu at Ko Olina This rating is a reflection of how the property compares to the industry standard when it comes to price, facilities and services available. It's based on a self-evaluation by the property. Use this rating to help choose your stay! 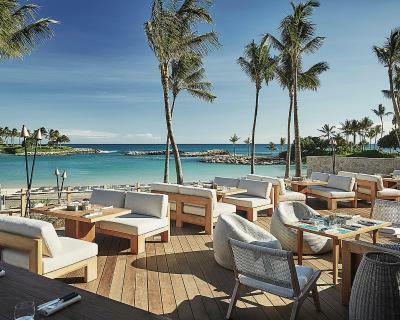 One of our top picks in Kapolei.Located on Oahu’s sunny west coast, this Hawaiian luxury beach resort includes restaurants, bars, swimming pools and lagoons with water sports. Guests can enjoy a game of tennis or golf then relax in the on-site spa. 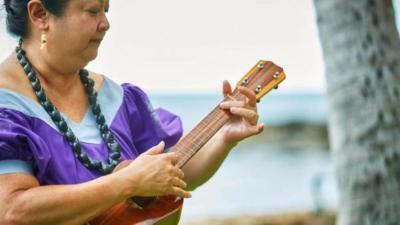 Honolulu International Airport is less than 30 minutes’ drive away. 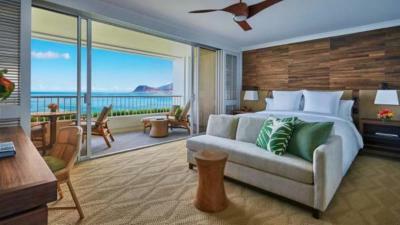 Offering free WiFi, Four Seasons Resort Oahu at Ko Olina features guest rooms with a 65-inch flat-screen HDTV. 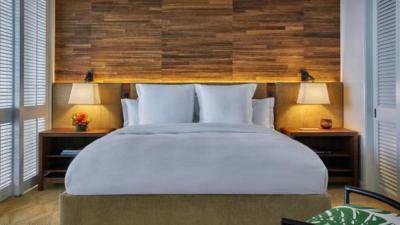 All rooms include a Four Seasons Bed with your choice of plush, signature or firm mattress topper, twice daily housekeeping, a private balcony, a deep soaking tub and a walk-in glass shower. 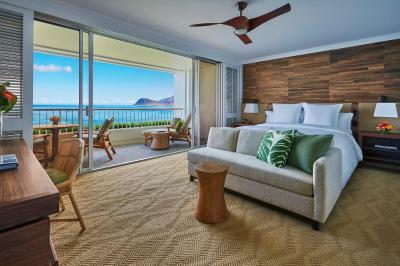 Guests can enjoy 24-hour in-room dining at Four Seasons Resort Oahu at Ko Olina. A fitness center is also available. 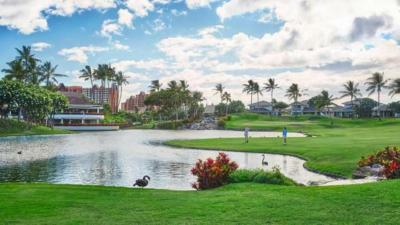 Ko Olina Marina and Ko Olina Golf Club are just 5 minutes’ drive from Four Seasons Resort Oahu at Ko Olina. The Arizona and Battleship Missouri Memorial at Pearl Harbor are 27 minutes’ drive away from this resort. 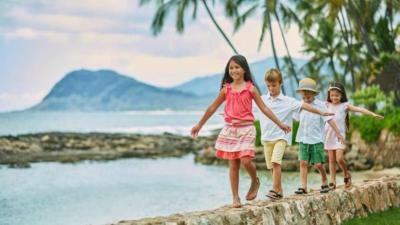 Ko'Olina Resort is a great choice for travelers interested in swimming pools, scenery and beaches. When would you like to stay at Four Seasons Resort Oahu at Ko Olina? Featuring a balcony with outdoor seating for two, this resort room offers a coffee machine, a mini-bar, an in-room safety deposit box, a flat-screen TV with cable channels, an alarm clock radio, bedside outlets, and an en suite marble bathroom with bathrobes, a hairdryer, a scale, and toiletries. Featuring a balcony with ocean views and outdoor seating for two, this room offers a coffee machine, a mini-bar, an in-room safety deposit box, a flat-screen TV with cable channels, an alarm clock radio, bedside outlets, and an en suite marble bathroom with bathrobes, a hairdryer, a scale, and toiletries. Featuring a spacious balcony with oceanfront views and outdoor dining seating for two and a lounge chair, this room offers a coffee machine, a mini-bar, an in-room safety deposit box, a flat-screen TV with cable channels, an alarm clock radio, bedside outlets, and an en suite marble bathroom with bathrobes, a hairdryer, a scale, and toiletries. Offering free WiFi, this deluxe room features a 65-inch HDTV and a private balcony. 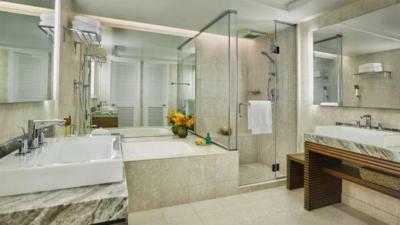 The private bathroom offers guest robes, a deep soaking tub and a walk-in glass shower. 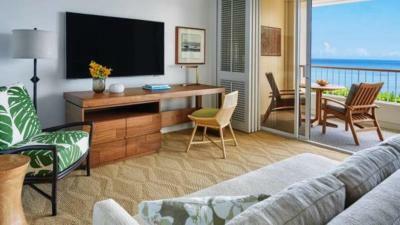 Offering free WiFi, this suite features a 65-inch HDTV and a private balcony. The private bathroom offers guest robes, a deep soaking tub and a walk-in glass shower. Featuring a spacious balcony with oceanfront views and outdoor dining seating for two and a lounge chair, this suite offers a coffee machine, a mini-bar, an in-room safety deposit box, a flat-screen TV with cable channels, an alarm clock radio, bedside outlets, and an en suite marble bathroom with bathrobes, a hairdryer, a scale, and toiletries. Offering free WiFi, this accessible room features a 65-inch HDTV and a private balcony. The private bathroom offers guest robes, a deep soaking tub and a walk-in glass shower. Offering free WiFi, this accessible room features a 65-inch HDTV and a private balcony. The private bathroom offers guest robes. Featuring a balcony with oceanfront views and outdoor dining seating for two and a lounge chair, this room offers a coffee machine, a mini-bar, an in-room safety deposit box, a flat-screen TV with cable channels, an alarm clock radio, bedside outlets, and an en suite marble bathroom with bathrobes, a hairdryer, a scale, and toiletries. Featuring a balcony with mountain views and outdoor dining seating for two and a lounge chair, this spacious suite offers a coffee machine, a mini-bar, an in-room safety deposit box, a flat-screen TV with cable channels, an alarm clock radio, bedside outlets, and an en suite marble bathroom with bathrobes, a hairdryer, a scale, and toiletries. Featuring a balcony with mountain views and outdoor seating for two, this spacious accessible suite offers a coffee machine, a mini-bar, an in-room safety deposit box, a flat-screen TV with cable channels, an alarm clock radio, bedside outlets, and an en suite marble bathroom with bathrobes, a hairdryer, a scale, and toiletries. Featuring a balcony with oceanfront views and outdoor seating for two, this spacious suite offers a coffee machine, a mini-bar, an in-room safety deposit box, a flat-screen TV with cable channels, an alarm clock radio, bedside outlets, and an en suite marble bathroom with bathrobes, a hairdryer, a scale, and toiletries. Featuring a balcony with oceanfront views and outdoor seating for two, this spacious accessible suite offers a coffee machine, a mini-bar, an in-room safety deposit box, a flat-screen TV with cable channels, an alarm clock radio, bedside outlets, and an en suite marble bathroom with bathrobes, a hairdryer, a scale, and toiletries. Featuring a balcony with outdoor seating for two, this suite offers a coffee machine, a mini-bar, an in-room safety deposit box, a flat-screen TV with cable channels, an alarm clock radio, bedside outlets, and an en suite marble bathroom with bathrobes, a hairdryer, a scale, and toiletries. Featuring a balcony with oceanfront views and outdoor seating for two, this suite offers a coffee machine, a mini-bar, an in-room safety deposit box, a flat-screen TV with cable channels, an alarm clock radio, bedside outlets, and an en suite marble bathroom with bathrobes, a hairdryer, a scale, and toiletries. Featuring a balcony with oceanfront views and outdoor seating for two, this accessible suite offers a coffee machine, a mini-bar, an in-room safety deposit box, a flat-screen TV with cable channels, an alarm clock radio, bedside outlets, and an en suite marble bathroom with bathrobes, a hairdryer, a scale, and toiletries. The largest accommodations type available, the Residence offers over 4,000 square feet of relaxation. It features three bedrooms, each with a king bed, and three full bathrooms. Ocean and mountain views can be seen from the private balconies. Guests have a dedicated dining area as well as a small pantry. Other amenities available include a coffee machine, a mini-bar, an in-room safety deposit box, a flat-screen TV with cable channels, an alarm clock radio, bedside outlets, and an en suite marble bathroom with bathrobes, a hairdryer, a scale, and toiletries. Featuring 800 square feet of balcony, the Penthouse suite is a two-bedroom suite that offers two king beds with ocean views visible from each room. There are two full bathrooms as well as one powder room. Guests can relax in the spacious living room and formal dining area. A fully-equipped kitchen is available for guest use, as well as the private bar. Other amenities available include a coffee machine, a mini-bar, an in-room safety deposit box, a flat-screen TV with cable channels, an alarm clock radio, bedside outlets, and an en suite marble bathroom with bathrobes, a hairdryer, a scale, and toiletries. 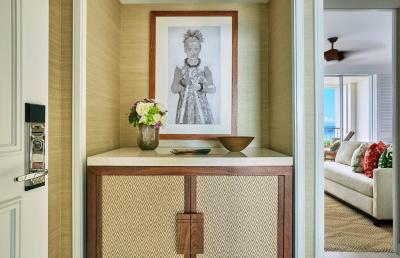 Featuring a separate multimedia room, the Presidential suite is a two-bedroom suite that offers two king beds with ocean views visible from each room. There are two full bathrooms as well as one powder room. 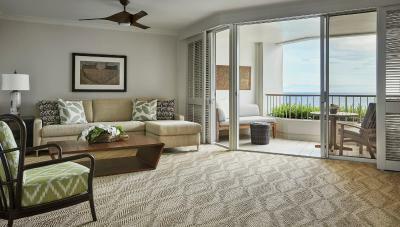 Guests can relax in the spacious living room and formal dining area, or at any of the five balconies. Other amenities available include a coffee machine, a mini-bar, an in-room safety deposit box, a flat-screen TV with cable channels, an alarm clock radio, bedside outlets, and an en suite marble bathroom with bathrobes, a hairdryer, a scale, and toiletries. Featuring a balcony with garden views, this resort room offers a coffee machine, a mini-bar, an in-room safety deposit box, a flat-screen TV with cable channels, an alarm clock radio, bedside outlets, and an en suite marble bathroom with bathrobes, a hairdryer, a scale, and toiletries. 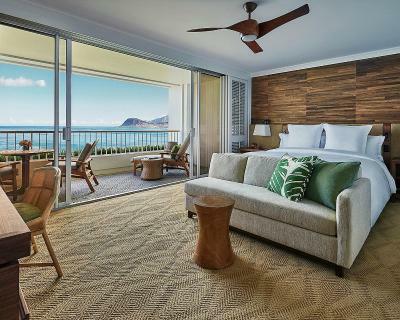 On Oahu’s sunny western coast – wild, rugged and conveniently close to Honolulu and Waikiki Beach – five-star Four Seasons Resort Oahu at Ko Olina balances a classic Hawaiian style with one-of-a-kind luxury. 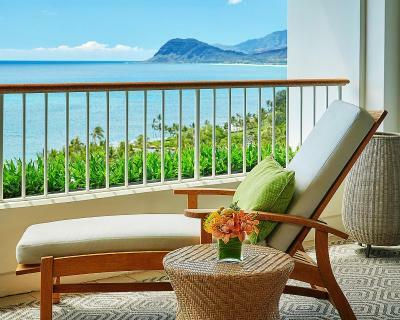 Chic and light-filled with vast ocean views, our 371 accommodations provide a personal sanctuary in this all-encompassing Hawaiian luxury beach resort. 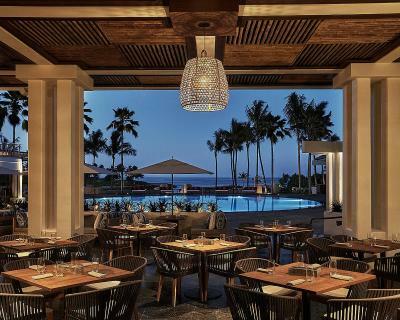 Restaurants and bars are infused with the magnetic energy of Ko Olina. 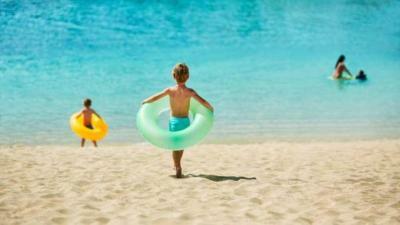 Splash into lively pools and lagoons, with numerous water sports right off the Resort’s own beach. 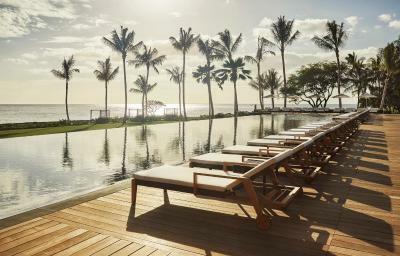 Play tennis and golf, then relax in the Spa – wrapped in the effortless elegance of Four Seasons. Area Info – This neighborhood is a great choice for travelers interested in swimming pools, scenery and beaches – Check location Excellent location – show map Guests loved walking around the neighborhood! 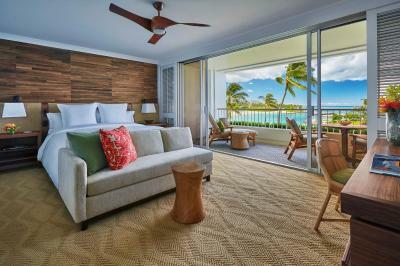 House Rules Four Seasons Resort Oahu at Ko Olina takes special requests – add in the next step! 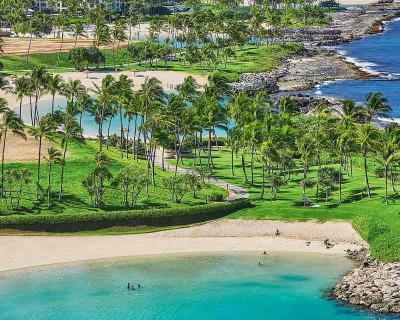 Four Seasons Resort Oahu at Ko Olina accepts these cards and reserves the right to temporarily hold an amount prior to arrival. Check in time is at 15:00 and check out time is at 12:00. For early arrivals resort recommends booking the room for the night prior to guarantee immediate access. For late departures, resort suggests reserving an additional night to guarantee access to your room until you depart. 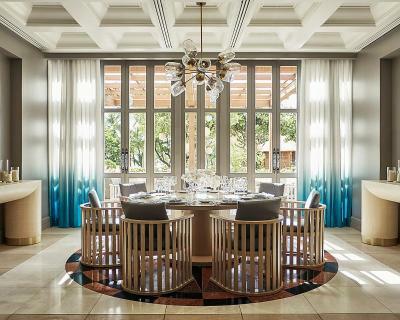 If you choose not to, guests have access to the Arrival & Departure Lounge located off the resort's lobby, overlooking the ocean, plus televisions and shower facilities to freshen up. There is a complimentary children's program for ages 5 to 12 years old. Children 4 and under eat free with a paying adult. All reservations must be guaranteed by a major credit card, subject to deposit requirements at time of booking. Cancelations must be received 21 days prior to the expected day of arrival for all rooms (30 day cancellation for suites apply). If cancellation is not received prior to this date, resort will retain full deposit. Please check deposit requirements and cancellation policies at time of booking. In compliance with Hawaii State Law, this is a smoke-free hotel. 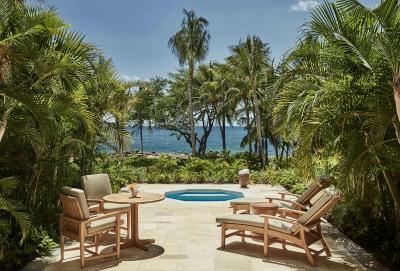 Smoking is prohibited in guest rooms, lanais and public areas such as restaurants, lounges, pool deck and lawns. Designated smoking areas are available throughout the property. The resort can arrange transfers to and from the airport for you. Fees apply for use of a spacious Lincoln Navigator seating 4 people or a Mercedes Benz sedan seating 2 people. 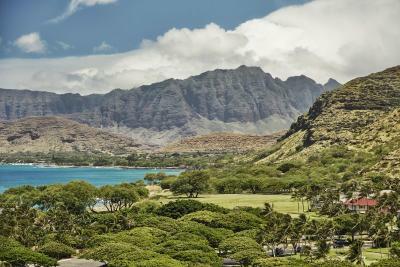 For a scenic, extra-quick transfer to and from airport, guests may arrange a helicopter ride that will take just 10 minutes from the airport to Ko Olina resort's helipad. 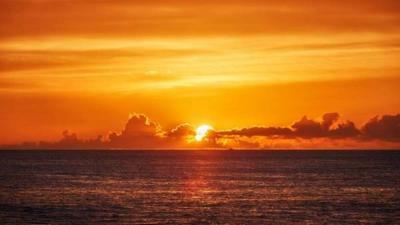 - Contact resort reservations or the resort concierge for more information, directions and arrangements. 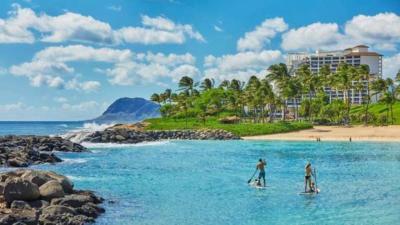 Please inform Four Seasons Resort Oahu at Ko Olina of your expected arrival time in advance. You can use the Special Requests box when booking, or contact the property directly using the contact details in your confirmation.